Brooch bouquets; they seem to be all the rage but many brides just aren’t convinced. If this is an idea you’re flirting around with but you haven’t made up your mind, then this is the post for you. Take a look at these 7 stunning brooch bouquets and see if they don’t make you want to carry this type of lovely bouquet down the aisle! This absolutely breathtaking bouquet features loads of bling that fit very well with the teal and peacock-colored flowers accompanying it. It’s great for a peacock-themed wedding as well! 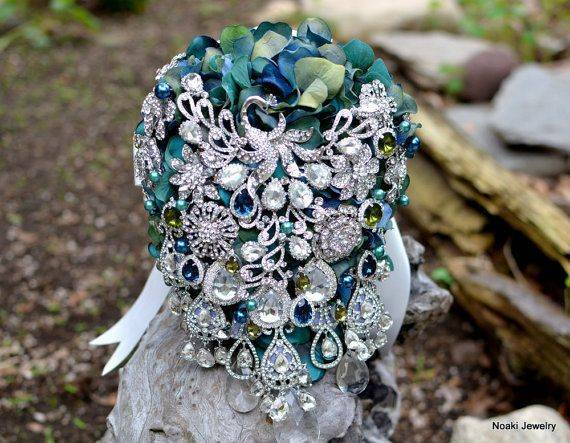 Brooch bouquets don’t have to be all rhinestones, as evidenced by this gorgeous wildflower brooch bouquet. 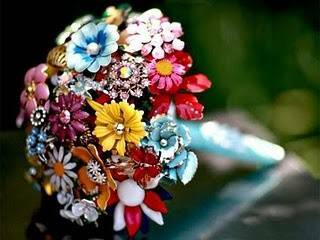 It features a variety of different brooches that are all colorful and stunning flowers! 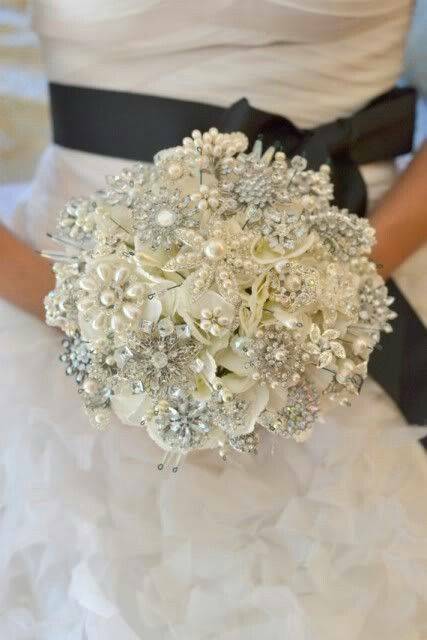 This wintery silver and white brooch bouquet is immaculate. 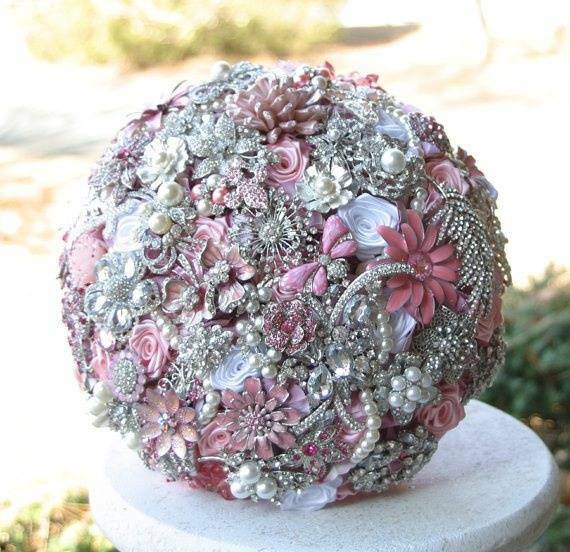 It features beautiful pearl and rhinestone accents that come together to create a very pretty and feminine bouquet. This bouquet in rich and warm fall colors is very attractive. It’s tied with a pale peach ribbon and looks superb with a variety of different flowers peeking out. 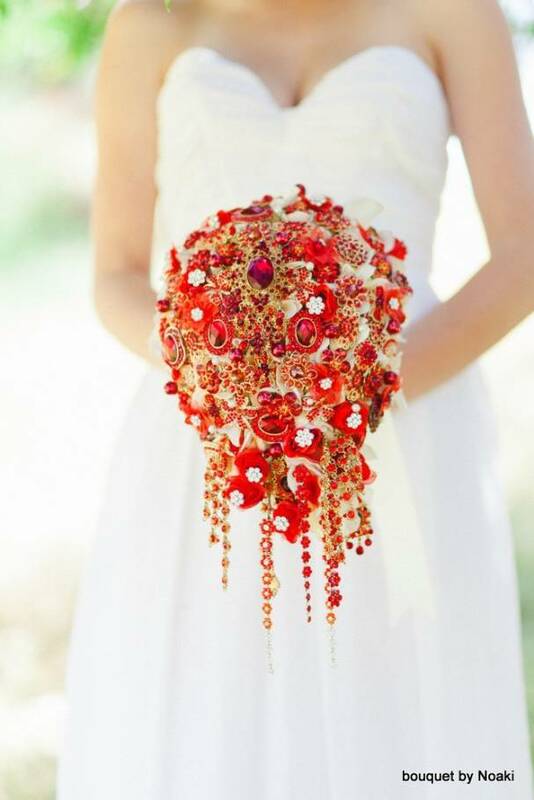 Few things are more beautiful than this red cascading brooch bouquet. 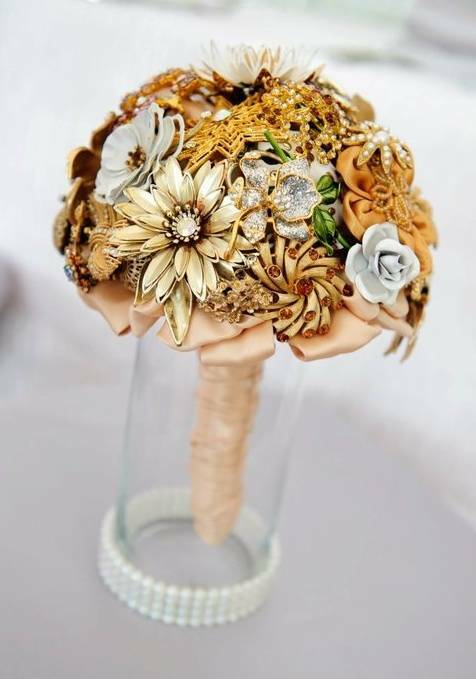 It has the look of a real floral cascading bouquet, but the bling and intrigue of a brooch bouquet. 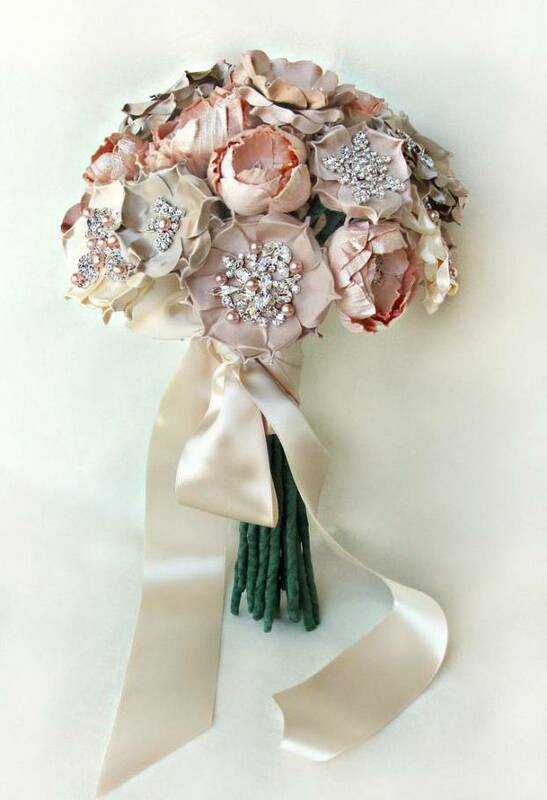 Finally, this brooch bouquet features blush pink peony fabric flowers for the perfect combination of soft and sparkly. These are just a few of the lovely brooch bouquets available and most creators will make something custom for you.